Sought after South Wilton location offering carefree living! The two-story foyer welcomes you to generous sized rooms with 9+ foot ceilings and walls of glass offering lots of natural light. 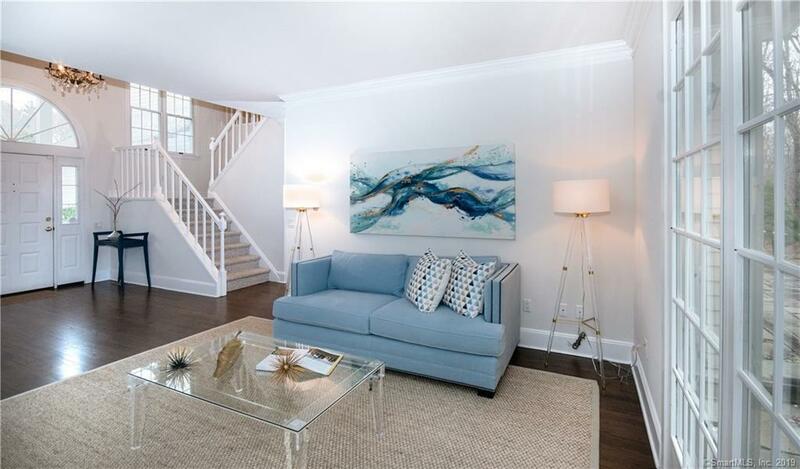 Refinished hardwood floors throughout the main level seamlessly connect the living room, dining room, powder room, kitchen and family room. The open concept eat-in-kitchen and family room lead outside to an intimate stone patio with mature plantings and level lot offering plenty of privacy. 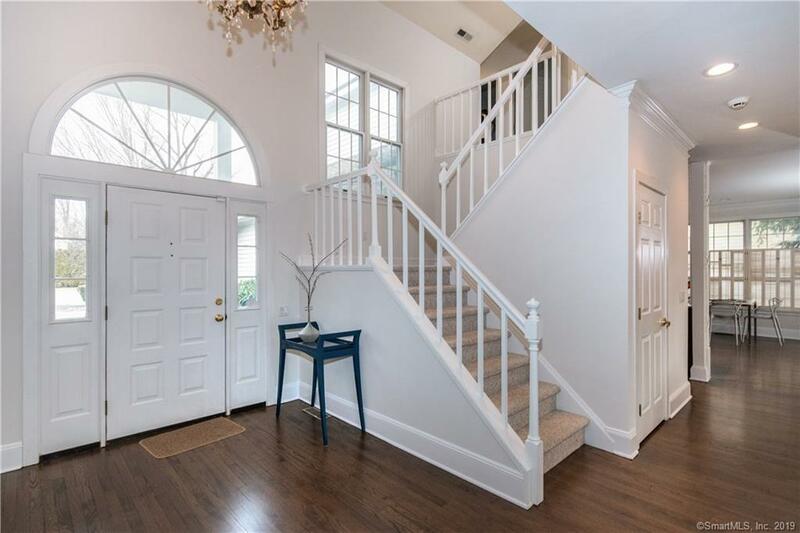 Upstairs, French doors invite you into to the master suite with vaulted ceilings, an over-sized walk-in-closet, full bath with two additional walk in closets, two sinks, whirlpool tub, and separate shower. Two open and airy generous sized bedrooms both with vaulted ceilings and one with a palladium window share the hall bath. The designated second floor laundry room provides ample storage and a door to hide it away. The spacious finished lower level can be used for playroom, office or workout space while also providing plenty of additional storage and/or workroom space. 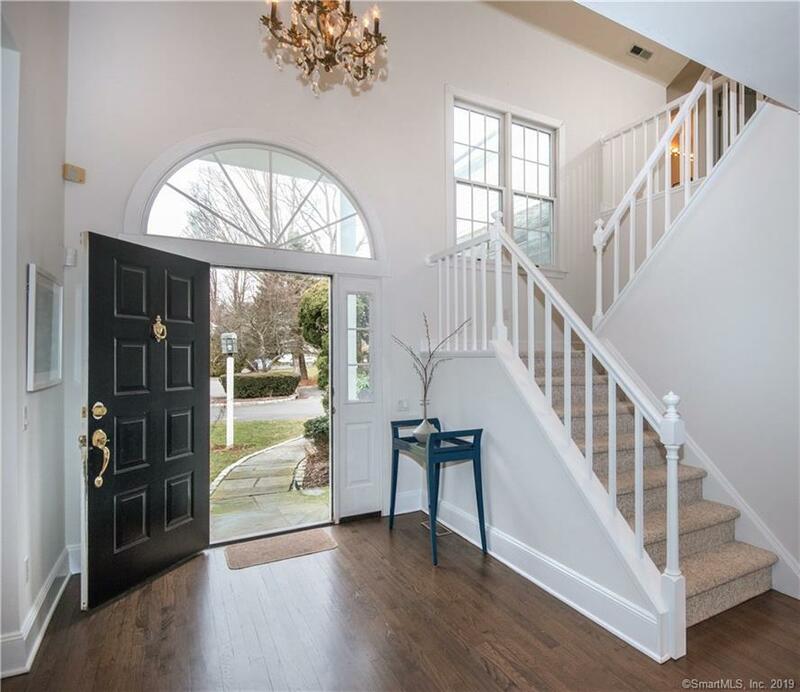 The attached two car garage with brand new garage door completes this coveted home privately situated on a cul de sac in a planned residential community of 18 Single Family Homes featuring a heated gunite pool and pool house. Wilton Hills is conveniently located to Wilton Town Center, Downtown Westport and Norwalk. Also listed as a Single Family Residence MLS# 170147228. 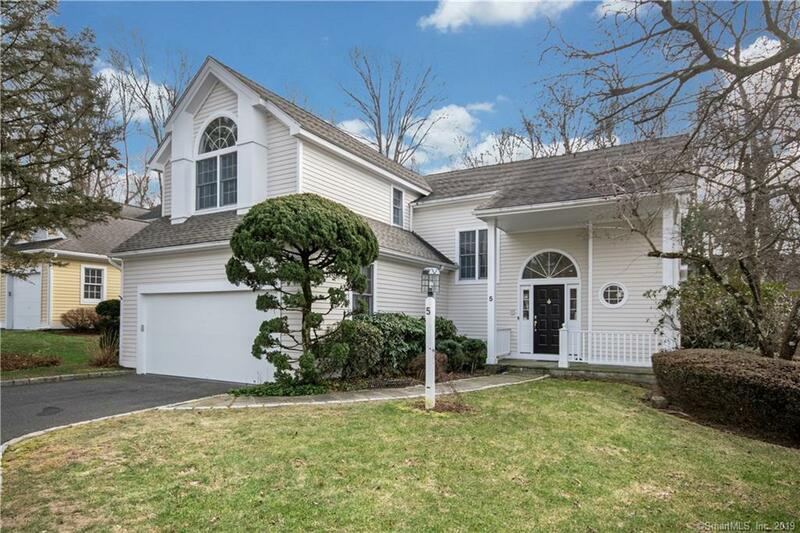 Listing provided courtesy of Cecilia Gargano of Halstead Real Estate.